John Krusinski, Sr. was a 19-year-old draftee who grew up in the Chicago area and went to war in Vietnam in 1967. He was a member of the Army’s 1st Battalion, 44th Artillery, G-Battery station at a base camp in Dong Ha, along the DMZ separating North and South Vietnam. He spent a year being shot at or shooting at other people. The teenage private 1st class manned quad .50-caliber machine-guns mounted on the back of a deuce-and-a-half. “It was a highly effective weapon. We were probably the first ones to be shot at by the Vietcong with their recoilless rifles,” the 63-year-old former soldier said. “The VC wanted to knock us out because we had tremendous fire power. When running those four-50s you sat in a little chair with quarter-inch steel around you. If the enemy hit you with their RPGs you were dead meat, you were gone! “The VC would come at us with their AK-47 assault rifles, mortars and their recoilless rifles. When I first got over there I didn’t wear my flak jacket because it was very hot. Then rounds started coming close to me and I decided I’d better wear my jacket,” he said. It wasn’t the VC that put Krusinski in the hospital. It was a rat the size of a cat that bit him on the big toe. I had to be Medevaced out to a hospital for treatment. Later he contracted conjunctivitis and spent another month in the hospital in Vietnam. Six months into his year tour of duty in Vietnam, Krusinski got a week’s R & R leave to go on vacation in Australia. He said the Australian people were great and the country was wonderful. A typhoon swept the DMZ after he returned to the front line. ‘It washed away our living accommodations we made out of sandbags and corrugated steel. The rain lasted a couple of days. The wind was high and it was cold,” the former soldier said. “You got as much as you could out of the homes we dug in the ground, you put your poncho on and sat there in the rain,” he said. 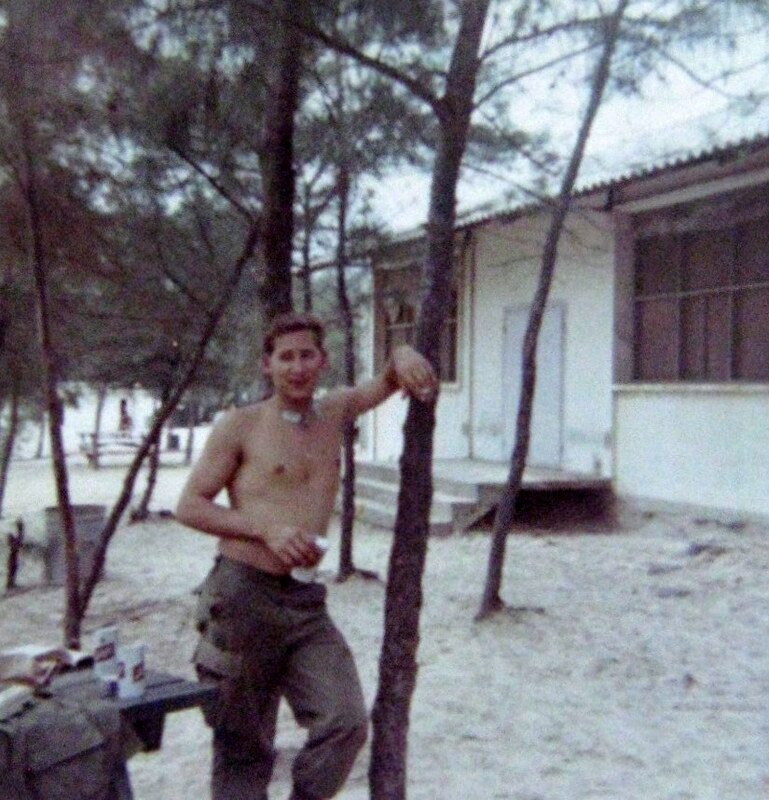 After living for months in a hole along the DMZ, Krusinski became a short-timer, he recalled. “You had to have 100 days or less on your overseas commitment before you became a short-timer,” he said. “You were supposed to be taken off the road and stay in base camp after you became a short timer. If they could do it they would, but some times it wasn’t possible,” Krusinski said. “The shorter you got the worse the tension became. You were always thinking, ‘Am I gonna make it the rest of the way?’” he added. When Krusinski completed his tour of duty he went back to Fort Sill in Oklahoma. He became a battalion dispatcher in the motor pool. “I guess I lucked out because I was exempt from all duties except the motor pool. I had my little air conditioned office at the motor pool,” he said.”Two years after I was drafted I was discharged. “After I got out of the service I went to work for my brother’s firm as a laborer and worked my way up to a carpenter. Then I became a foreman and finally superintendent,” Krusinski recalled. 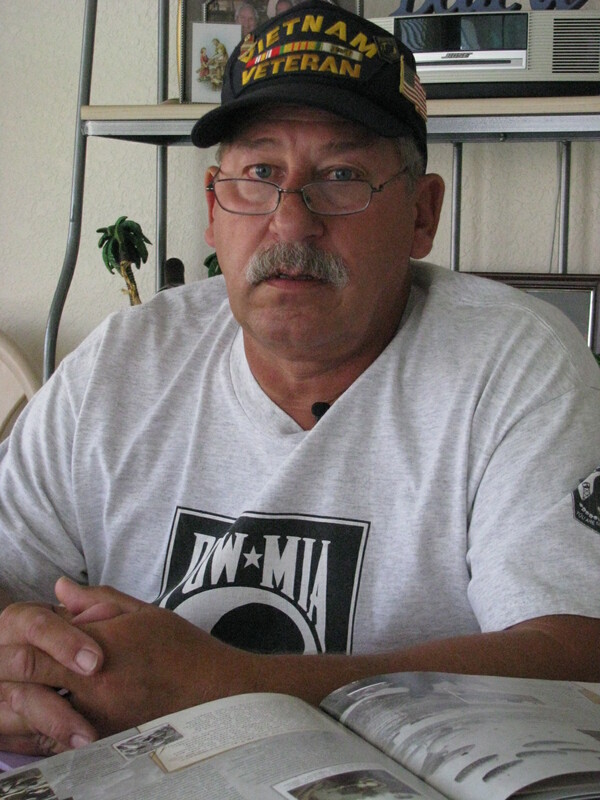 He and his wife, Nancy Jo, moved to Punta Gorda Isles three years ago. Beside the swimming pool in the back yard, there is a 26-foot boat with twin 200s on electric divots in the canal behind his house. “My goal, once I retired, was to move to Florida because I like the hot weather. I also like boating and fishing. I can be in Charlotte Harbor in five minutes where the fishing is fantastic,” he said with a smile. This story was first published in the Charlotte Sun newspaper, Port Charlotte, Florida on Monday, June 28, 2010 and is republished with permission. Click here to view his collection in the Library of Congress.